The section aims to disseminate knowledge of the solar system among members of the Society and the general public. This is achieved by section reports at general meetings, newsletter articles, the conduct of seminars and workshops and by regular section meetings where all members and friends are free to attend. The section aims to study the solar system and to encourage members to learn the techniques applied to planetary observation and data reduction so that the efforts of section members may be put to good scientific use. All projects are chosen with the objective of discovery and the advancement of the science of astronomy. The section aims to provide an enjoyable social environment for people of similar interests. This is an important function of the section because most people join the Society for recreational purposes. The section holds a monthly meeting as advertised in the ASV Newsletter. The meeting is informal and usually involves observing the planets and discussing observational results. For many years, the section has been involved in several ongoing projects. One of the ongoing projects is to make and keep records of the changing surface features of the planets. Most contributors to the project use moderate size telescopes (200 mm aperture or less) and therefore the degree of difficulty of the observation plays a big part in the final outcome. The planet Jupiter presents the most detailed image of all the planets and because of this, most of our work has been directed to that planet. The aim of the project is to record the shapes and appearances of the small features (including the Great Red Spot) in the belts and zones of Jupiter. The observations are achieved by visual means in the form of full disk drawings, by photography and more recently by electronic imaging techniques. In order to establish the relative position of the features and to measure their velocities and lifetime, 'central meridian transit timings' are taken. The observation is simply performed by noting the time (to an accuracy of one minute) when the feature appears to cross the line joining the north and south poles of the visible disk of Jupiter (central meridian). The time may be converted to a longitude with the aid of data published each year in the ASV yearbook. By repeating the observations over a period of time, the changing shape and movement of a particular feature can be recorded. The projects have involved monitoring the changing shapes of albedo markings and measuring the rate of change of the size of the Martian polar caps. Observers are also mindful of the presence of any cloud formations. 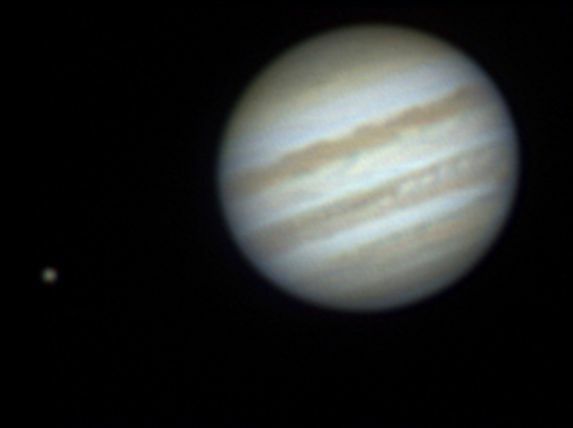 As with Jupiter, the observations have been made visually or by traditional photographic means using an array of coloured filters of known passband (colour). The planets Venus and Saturn are observed usually with the aim of witnessing a certain event such as dichotomy on Venus or Saturn's white spot. A group of observers is actively involved in measuring the times of lunar occultations, lunar grazing occultations, asteroidal occultations and eclipses of the major satellites of Jupiter and Saturn. The data is used to refine the orbital elements of those bodies. In the case of a minor planet occultation, the object's size and shape and the presence of a satellite may be deduced. Australian observers have contributed to major minor planet occultation timings in recent years, which involve cooperation interstate or even across the Tasman. 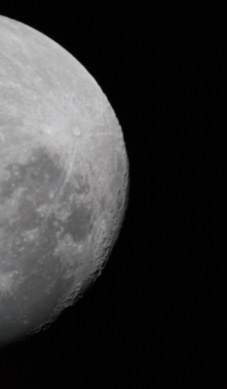 A grazing occultation of a star by the Moon will allow the shape of the lunar limb to be mapped very accurately. Most timings can be made from home observatories, but occasionally the occultation group will travel to specific locations to make, for example grazing occultation observations. The section is involved in occasional and unpredictable projects such as the observation of comets and lunar eclipse timings. As a practical observing group, it is no surprise that some observers become interested in the tools of the 'trade'. Some members of the group spend some time developing telescopes, photographic techniques, timing and recording equipment and electronic circuits for computer interfacing for procedures pertaining to the study of the solar system. Members' results are published in reports in the ASV Newsletter.